The 2016 EMS Broadcast Meteorologist Award was presented to Lieutenant Colonel Guido Guidi of the Italian Air Force Weather Service to honour his deep commitment paired with extremely high communication skills. Throughout his career as TV weather forecaster on RAI1 and RAI his extraordinary dialectics and his deep preparation have always guaranteed a correct information, among the highest available in the panorama of the Italian television weather forecasts. 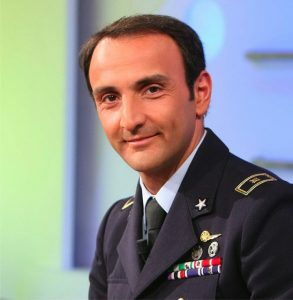 Lieutenant Colonel Guido Guidi also has a relevant long working history and experience as weather forecaster for several weather services such as NATO, the Italian Antarctcic Survey, the Operational Center for Meteorology as well as the Civil protection. 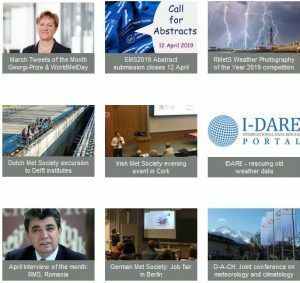 He is also the Italian Focal Point for the WMO programme WWIS (Public Weather Service) as well as EUMETSAT Data Licensing Agent for Italy.